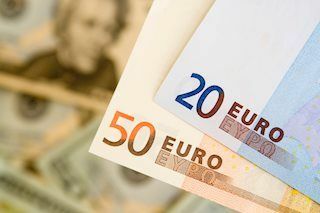 The EUR/USD pair plunged to 1.0493 following London’s opening, with the dollar gaining some traction as stocks jumped higher, and the common currency undermined by political woes. Data coming from Germany surprised to the upside, as the IFO survey showed that business sentiment improved in February, rising up to 111.00 from previous 109.8, with the assessment of the current situation up to 118.4 and expectations also on the rise, up to 104. Euro area annual inflation matched initial estimates, as the CPI was 1.8% in January 2017, up from 1.1% in December 2016, while it fell monthly basis by 0.8%, as expected. 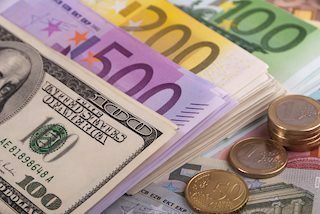 In the US, existing home sales soared in January, up 3.3% to a seasonally adjusted annual rate of 5.69 million, but the EUR/USD pair turned higher, in the US afternoon, hitting 1.0565 after centrist Francois Bayrou confirmed he will not stand in France’s presidential election and has offered an alliance to independent candidate Emmanuel Macron, joining forces against far-right candidate Marine Le Pen. Despite the price reaction was limited, as investors were waiting for FOMC Minutes, it clearly indicated how sensitive the common currency is to political risk. 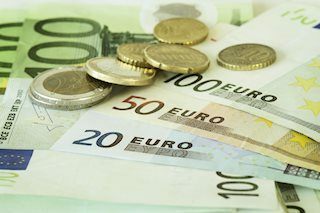 The EUR/USD pair spiked beyond the mentioned high, after the FED Minutes showed that many FED officials see a rate hike happening “fairly soon,” if the economy remains on track, but also consider that there’s a modest risk of significant inflation. Also, policymakers didn’t advance their plans for the balance sheet, saying they will discuss the matter in later meetings. Technically, the 4 hours chart shows that the price is struggling around the mentioned Fibonacci level, with the 20 SMA heading lower above the current level, and technical indicators recovering from oversold readings, but holding within negative territory, indicating limited buying interest at current levels. A recovery beyond 1.0590 could favor additional gains, but it would take an advance through 1.0635, to reduce chances of a new leg lower below 1.0500. 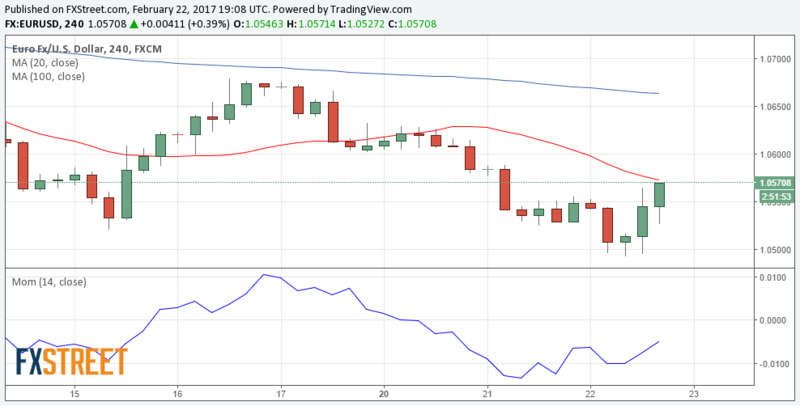 EUR/USD analysis: officials see rate hike “fairly soon”.